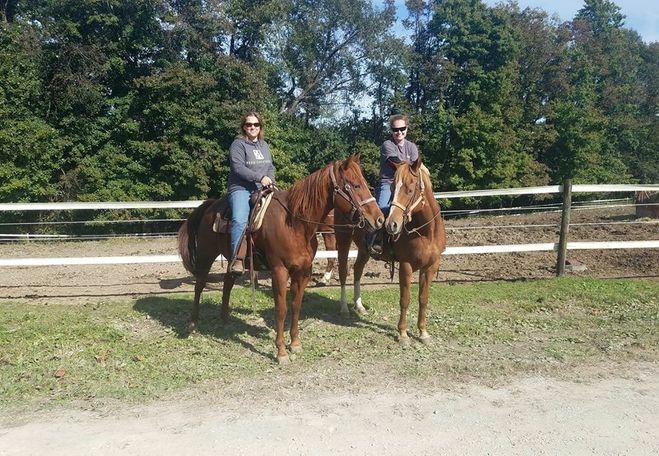 Affinity is sweet, sound and sane, rides out well and is very responsive in the arena. 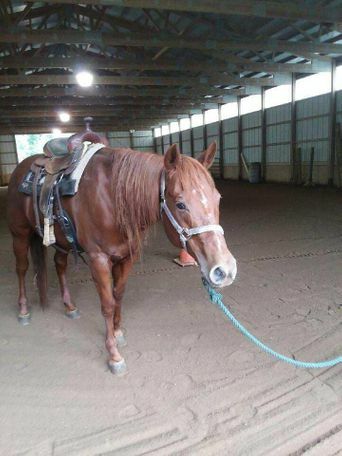 Affinity is a 15 year old QH mare with a great personality, 15.2 hands, She works nicely in the arena and got good trail miles during her evaluation, doing very well riding out across open fields, through wooded areas and crossing water with no problem. 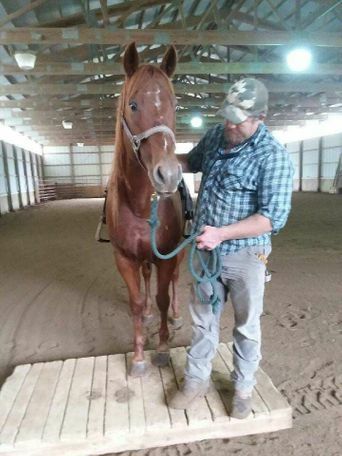 Sound and good minded, nicely put together and willing, Affinity has a lovely soft trot and easy to ride forward lope.so is a fun ride Non-breeding home and adoption contract required. 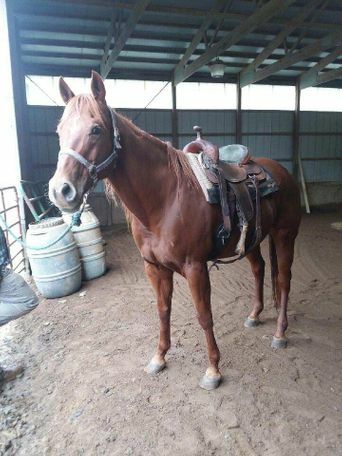 See her videos on her page on the Copper Horse Crusade website. 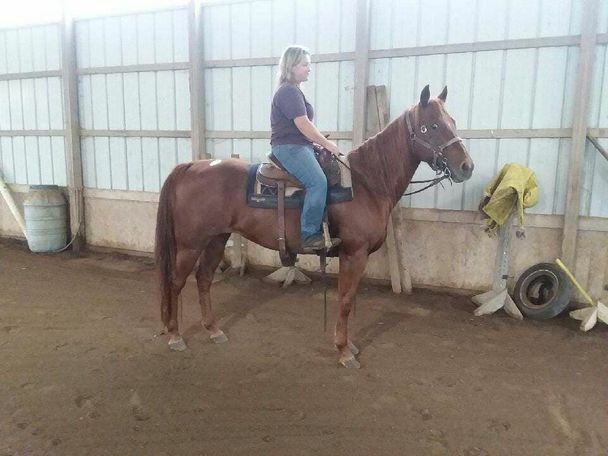 http://www.copperhorsecrusade.com/available-horses/affinity and text Julie at (740) 601-2752 to schedule a time to come see Affinity!